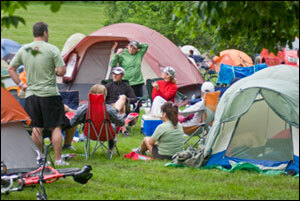 ​Featuring great RV spots and primitive campsites! Shower facility with hot water showers, flush toilets, sinks, security lighting and locking steel doors. Near to Columbia, MO and Boonville, MO. Looking for a great adventure? Come visit us at the Katy Roundhouse! 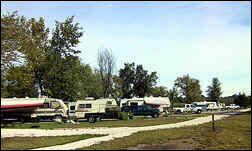 Featuring 30 pull through RV sites with full hookups (30&50amp) and hot showers and bathrooms. Secluded tent camping area includes many spacious tree line campsites with picnic tables, deluxe cook-top fire rings and bike racks. 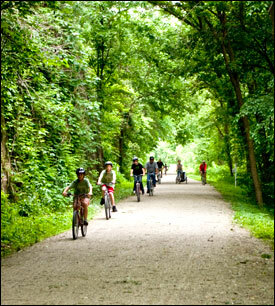 We are located at mile marker 189 along the heart of the Katy Trail.